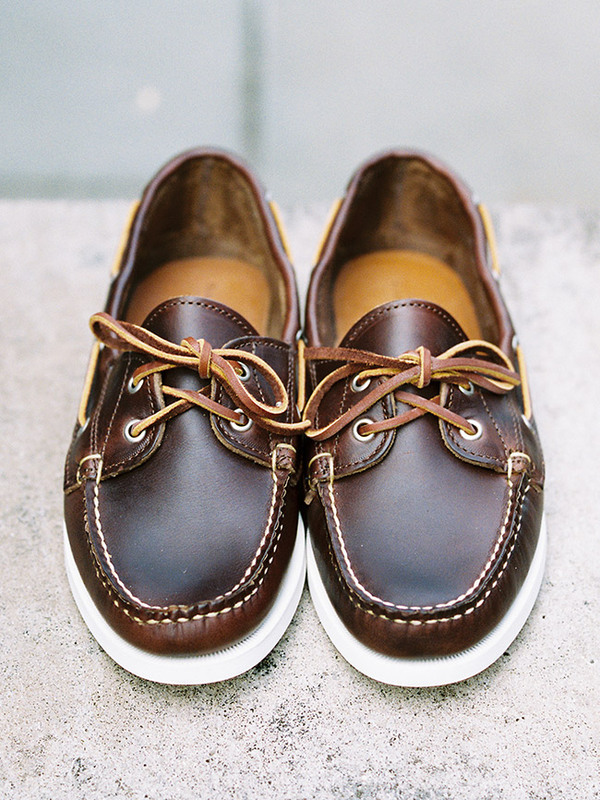 Wants & Desires | Rancourt Boat Shoes | A Continuous Lean. The folks at Harrison Limited down in Birmingham may be landlocked, but that doesn’t mean they don’t have good taste when it comes to boat shoes: case in point these handsome Rancourt mocs. 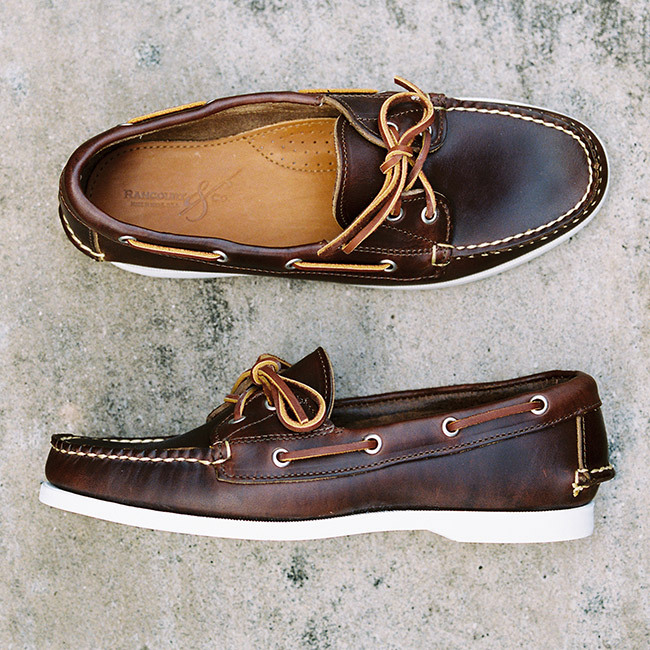 It was only last summer that I was falling for the long-time-coming made in Maine Sperry Topsiders, but one can surely make room in his closet for two well-made pairs of boat shoes. There have been mentions of it here before, but Harrison Limited is probably my favorite store I have never actually been to. That honor was help previously by Leather Soul, but I’ve now been lucky enough to have visited that shoe mecca the past two years in a row (and I might even see it again this April, depending on how things go). After being laid-up with an injury for what seems like this entire winter, I’m making a list of things I need to do this summer (or fall) and driving across Alabama and visiting Harrison Limited is right at the top. Last year I worked on a story for GQ and made the case for just that – with Harrison Limited making the cut for one of the top 25 stores in the U.S. to travel for. While I’ve never been there, I’m a customer and a fan. There’s no question in my mind just how special Harrison Limited is. If things work out and I can actually take my Southern road trip, I will hopefully have time to stop in Tuscumbia and have a cocktail or four with Mr. Audwin McGee. I’ll hopefully get to spend the better part of the evening talking and drinking with Audwin. Then the next day I’ll point myself towards Florence to have some gumbo with Billy Reid. I’ll make sure to be playing this on the radio. The only other thing I could possibly need would be a pair of these Rancourt mocs from Harrison Limited to be on my feet. That’s it. I don’t ask for much. We’d love to have you in Birmingham. You’ve got quite a following here. Harrison is really is wonderful and we’ve got some of the best food and drinks in the world. No joke.